Only available at Carpet World Mornington. The Catalina Carpet Laboratory is a unique space within Carpet World Mornington’s showroom that is a must see for designers, architects, builders or anyone that is looking for unsurpassed quality and inspiration when choosing their flooring. The room boasts a portfolio highlighting outstanding antique and modern carpets and rugs sourced from suppliers globally. Catalina’s vision is to offer handmade carpets and rugs where the sky is the limit in style, colour, pattern and quality. Catalina is something like no other in wall to wall carpet and rug innovation. The idea was conceptualised through years of research and products sourced from all over the world to create a space where customers and Carpet World professionals can make an idea a reality. The Catalina room shifts the idea of carpet from mere practicality to fashion and design. 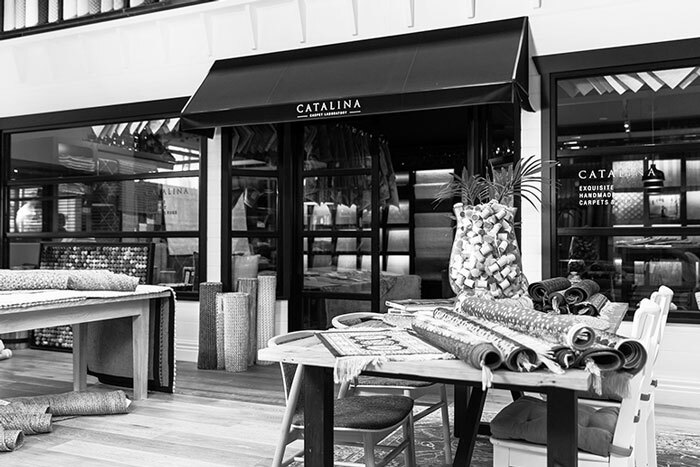 Since it was established in 2015, the Catalina room has inspired some of Melbourne’s most well known interior designers, architects and builders with numerous relationships already formed. By appointment, the Catalina room is open 7 days a week for anyone to visit to begin to action their flooring project. In line with Carpet World’s mission, the Catalina Carpet Laboratory has a strong commitment to unsurpassed quality, innovation and outstanding customer service.